and other relevant authorities. It is prohibited for Impact Express or our carriers to transport goods including documents on behalf of, or directly to these individuals or organisations. What is a sanction list? Governments or international organisations (EU or UN) have comprised a sanctions list of known denied parties. Denied parties are people or organisations, who cannot send or receive any goods or documents. DHL or our carriers will flag up a shipment with incomplete consignee details. It could be raised as denied party and the shipment could be held for full address and contact details. DHL or our carriers will contact us at Impact Express, and pass on the information. What happens if there is a denied parties match? We contact the shipper and ask information to release goods. This may be cleared by obtaining the consignee’s passport details. 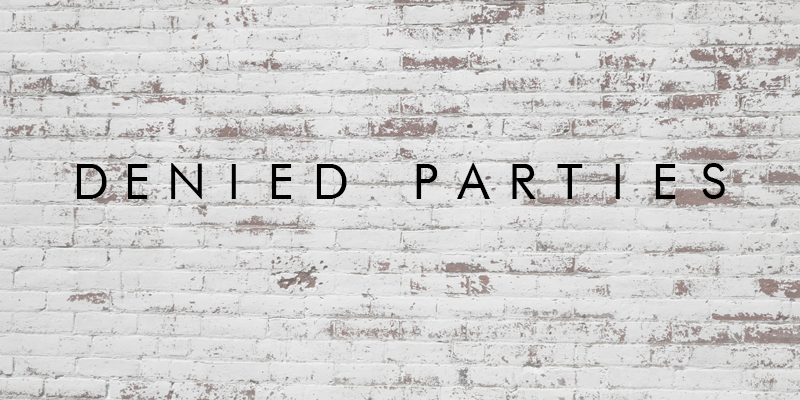 How to avoid denied parties?